On this week’s episode of Eat Your Words, host Cathy Erway is joined by historian Rae Katherine Eighmey, author of Stirring the Pot with Benjamin Franklin: A Founding Father’s Culinary Adventures. In this remarkable work, Eighmey presents Franklin’s delight and experimentation with food throughout his life. At age sixteen, he began dabbling in vegetarianism. Franklin is known for his scientific discoveries, including electricity and the lightning rod, and his curiosity and logical mind extended to the kitchen. He even conducted an electrical experiment to try to cook a turkey and installed a state-of-the-art oven for his beloved wife Deborah. 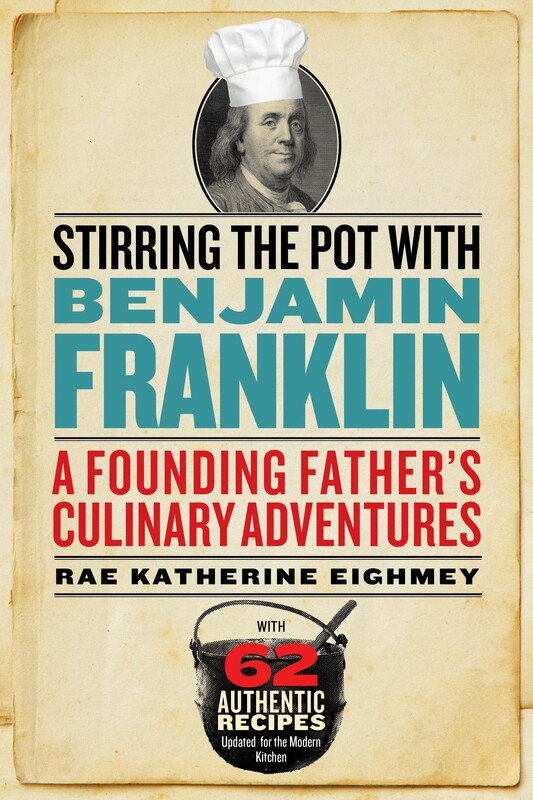 Stirring the Pot with Benjamin Franklin conveys all of Franklin’s culinary adventures, demonstrating that Franklin’s love of food shaped not only his life but also the character of the young nation he helped build.